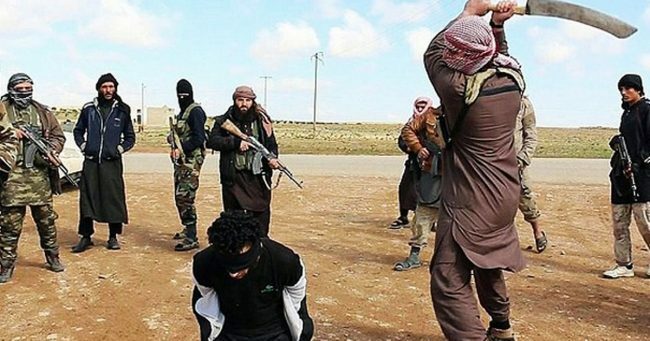 Islamic State militants have burned three women who refused to slaughter fellow residents who had tried to flee areas held by the group in Mosul, eyewitnesses said. Shafaaq news website quoted the witnesses saying that the group had sentenced a group of civilians to death for trying to flee Wadi Akab region. They ordered civilian women to execute the sentence, according to the sources. When three women declined, they burned them to death, they added. News reports about atrocities affecting civilians under IS rule, though largely attributed to anonymous sources, have greatly been corroborated by accounts by civilians reported by aid agencies and U.N organizations. 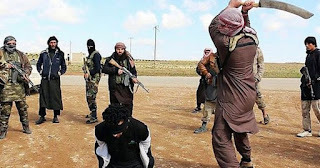 Since emerging to the scene in Iraq in 2014 to proclaim an “Islamic Caliphate”, Islamic State members executed thousands of civilians for violating its extreme religious rules, collaborating with Iraqi security forces and attempting to flee its domains. The group has occasionally posted videos of heinous executions carried out by its members. The group sis currently losing ground and personnel in a wide-scale, U.S.-backed security campaign by the Iraqi government at Mosul, its last major stronghold in Iraq. The campaign has entered a sixth month and is believed to need a few more months to eliminate militants from the city. The Iraqi government is expected to move to other smaller IS pockets outside Mosul once the offensive is concluded.